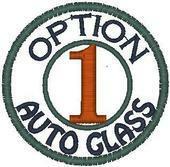 OPTION ONE AUTO GLASS is a respected, stable company. We provide superior quality automotive glass replacement, as well as repair services. Our primary goal is to do the highest quality work while satisfying the customer. We achieve this through technical expertise,professionalism,teamwork and listening to our customers.